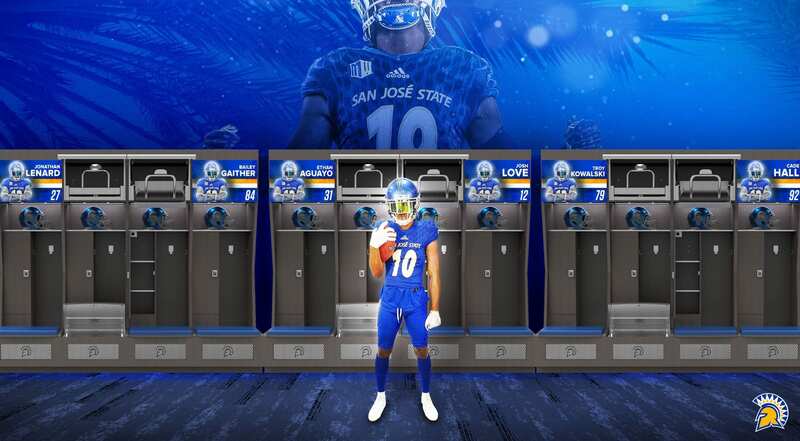 SAN JOSE, CA—San Jose State University is pleased to announce that it has received a $1 million gift commitment from donors who plan to remain anonymous. This gift will provide new lockers and Spartan-themed graphics for the football team locker room in the existing Simpkins Stadium Center adjacent to CEFCU Stadium, Home of the Spartans. The upgrades are expected to be completed in May 2019. In addition to the refurbished locker room, the gift will support Head Coach Brent Brennan’s efforts to position the football program for success in the immediate future. Brennan added that the expansion and upgrade to the training room will help Spartan football players with the prevention, treatment and rehabilitation of injuries, aided by SJSU’s certified athletic training staff. To track fundraising progress and learn how you can support Spartan football, please visit sjsufootball.com or contact Josh Thiel, deputy athletics director for athletics advancement, at 408-924-1697 or via email at joshua.thiel@sjsu.edu.